Bubba is a miserable dog today. And he was miserable yesterday too. This is because Pete had to go out early on Thursday so I took Bubba for his morning walk. Now I don't see what the difference is - it's the same field, just about an hour later than normal. But Bubba is not a dog that likes his routine to be disturbed in any way, so he has been moping around the house for the past two days like he was being beaten with big sticks! Here he is looking about as hang-dog as he can muster. 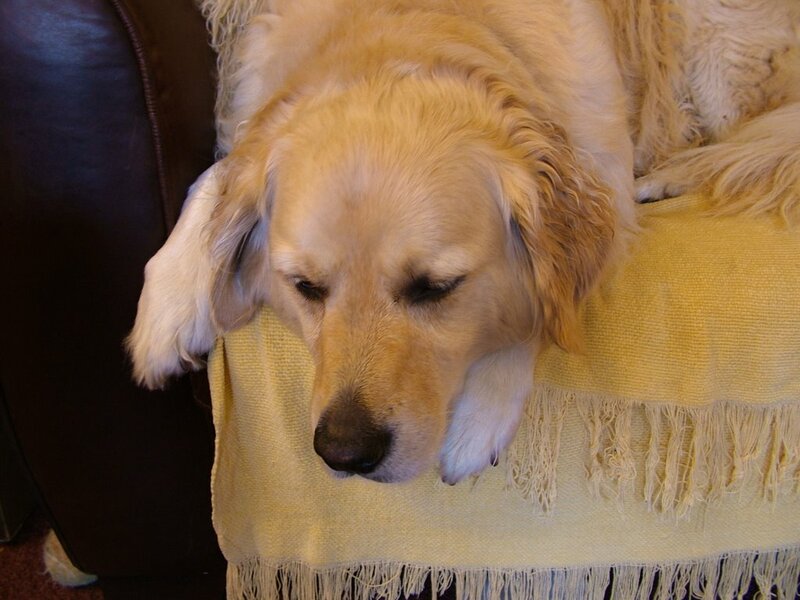 You will note that my rule of no dogs on the new leather sofas is being blissfully ignored as it has been since the second first day we had them. 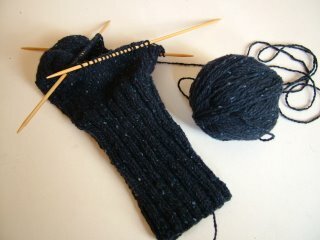 On the knitting front I have started Pete's dog walking socks - plain ribby socks in Rowanspun DK in navy though it looks black on my monitor. This is from the stash I scored back at the beginning of September - they had it on sale because it was being discontinued so I bought lots of different colours in both DK and 4ply for Christmas knitting. But anyway not before I've had a fix of something modern, so I've started Thorn by Vena Cork.